Creation Care | J.W. Wartick -"Always Have a Reason"
Sunday Quote!- Desecrating Creation’s Holy Ground? The notion that creation is God’s temple or sanctuary is one found in numerous studies on Genesis and its context. I find it to be a very appropriate way to envision creation as God’s ordered cosmos. I had not, however, thought of creation care in these terms. It seems to me to be correct, however. After all, if we really believe that all of creation is God’s temple, then the unwarranted and often greedy molestation of creation for monetary or other short-term gain is a molestation of God’s holy ground. It is a desecration. How might we better approach creation and care for it as we have been charged to do? That is a difficult question–one I and others have explored elsewhere. However, I think it is time we as Christians stop ignoring the issues of caring for creation. We need to stand against the desecration of God’s temple. Laurie Braaten, “May the Glory of the Lord Endure Forever! 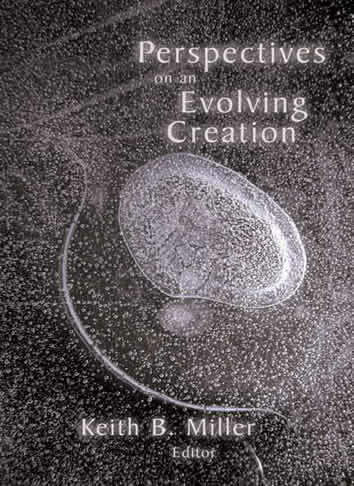 Biblical Reflections on Creation Care” in Perspectives on an Evolving Creation edited Keith Miller (Grand Rapids, MI: Wm. B. Eerdmans, 2003). How should Christians think about creation care? More importantly, should Christians even bother with creation care? What is the state of the Earth? What does the Bible say about these issues? These are the primary topics which Steven Bouma-Prediger turns to in his work, For the Beauty of the Earth . We are on Earth, and it is a place full of the glory of God. For the Beauty of the Earth (hereafter FBE) begins with a call to marvel at creation. 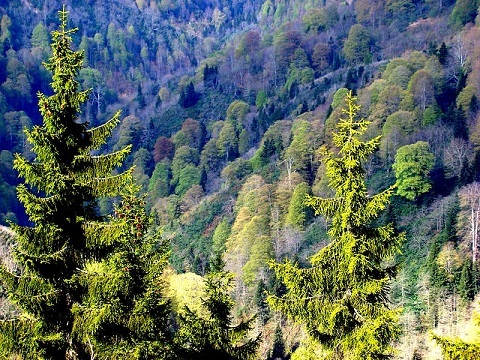 Bouma-Prediger traces the beauty of the earth through ecological inter-connectedness of animals, plants, and geography in mountains, forests, and lakes. It is truly astounding to think of how the world interacts as a unit; it is still more fascinating to reflect upon how even the–to use a Biblical phrase–“least of these” has an extremely important part to play. I was reading this book while on a camping trip, and it was wonderful to resonate with FBE’s discussion of the wonders of the natural world. But what’s the point? Bouma-Prediger notes that “We care only for what we love” (21). If we do not love the Earth, we will not care for it. Moreover, he points to the interconnections found throughout the world as a reflection of the importance of all things to creation. He draws ten primary points of importance, including a rejection of the notion that things can be “thrown away”–all things go somewhere; the fact that our actions never affect just one thing; the finitude of resources on the Earth; and the amazing complexity of Creation (19-20). Having reflected on our place on Earth, FBE asks: What is the state of planet Earth? Put simply, it is not good. Population is booming while per-capita grain production has not increased, the extinction rates are vastly larger than ever in the past, deforestation is cutting down state-sized holes in the world forests (which leads to a decrease of plants capable of producing oxygen), water consumption is increasing exponentially, topsoil is eroding more quickly than it can be produced, and more. Bouma-Prediger is careful to present a significant amount of documentation for the claims made in FBE. Consider “Global Warming”- there is an observable upward trend in the average global temperature. There is a real consensus on this topic, although there are always who will disagree with a consensus. It is important to note that “Global Warming” is something of a misnomer because it does not reflect the complexity of the issue. “Climate Change” is a better description, which captures the full range of the impact on the planet. Finally, he notes that the news is “not all doom and gloom,” for there are many bright spots regarding our care for the Earth as well. Unfortunately, “the case is overwhelming that we humans are responsible for the damage to our home planet” (55). The question it raises is: what now? The charge has been made that Christianity is bad for the environment. That is, Christian belief tends to denigrate creation and thus should be rejected, for it cannot provide answers to the ecological crises discussed above. Bouma-Prediger presents a number of ways this objection can be stated and responds accordingly. The complaint ranges from charges that Christian eschatology entails a lack of concern for the current creation to (a very interesting) complaint that because a Christian worldview helped the rise of science, which has itself been the source of many things which harm creation, Christianity is to be blamed for the current crisis. Bouma-Prediger offers multiple responses. Most importantly, the notion that there is any single root cause for our current ecological crisis is hard to sustain. He offers other responses related to eschatology and more. 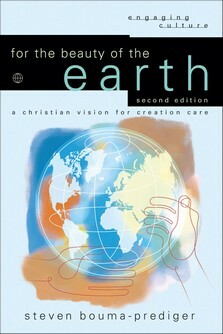 Christian theology, he argues, in fact gives extremely solid motivation for creation care. Interestingly, at one point he notes that perhaps substance dualism could be divorced from Christianity (a thesis against which I have argued here). His argument is brief and largely just notes that there are other strands within Christianity which do not rely upon this substance dualism. Finally, in an interesting spin, the charge is made that materialism actually denigrates the environment. In particular, materialism in the form of economic materialism: when wealth drives worth, the environment will suffer, period. Now, the book does not make the charge that this is the only or even the root cause of our crisis; instead, the point is that when one does value economic gain over other ends, the environment will suffer. Clearly, the most important question is whether or not there is any reason for Christians to care about creation. Interestingly, Bouma-Prediger places this section towards the middle-end of the book as opposed to the beginning. In it, he offers an analysis of several Biblical texts to show that Christians should care for and about creation. Central to this is his conclusion that “Individual creatures and the earth as a whole have an integrity as created by God and as such have more than merely instrumental value” (136). When we view creation as a gift from God–a good gift–we see that no individual part of that creation should be denigrated or seen as merely an instrument. He goes on to offer a number of ecological vices of excess and deficiency regarding a number of areas related to theology and ecology. These include addiction, belief in autonomy, and more. Finally, Bouma-Prediger presents a brief vision for creation care. He places this squarely within the context of the vice list and Biblical theology. Christians are to act in humility, wisdom, and virtue. As such, they are to care for that which God has given them and be aware that one should not destroy that which sustains oneself. Christians are called to emulate God’s benevolence and love for all creation as illustrated throughout the Biblical text. As such, to be dismissive of individual species or parts of creation does not line up with a Christian worldview. There are many more themes found throughout FBE and in particular in the area of Christians and the environment. Overall, the book is an astounding, life-shifting read. It raises one’s awareness of the integration of their beliefs with the world around us. It is amazing to immerse oneself in a sense of place–be that a forest, mountain, lake, or elsewhere–and realize that this is truly a great good which God has created for us to enjoy. As embodied creations of God, we are to honor those other created aspects of His plan. We are to care for His creation. The book is commendable in its scope, erudition, and groundedness in those concerns which Christians would perhaps be most interested in. It comes highly recommended. 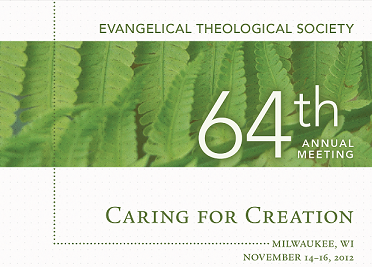 I recently had the wonderful opportunity to attend the Evangelical Philosophical Society annual meeting (check out my thoughts on the whole thing). The theme of the meeting was “Caring for Creation” and although I generally went to other talks with topics that interested me more, I did get the chance to listen to a talk by Douglas Moo, “Biblical Theology and Creation Care” followed by a panel discussion on caring for creation. The talk by Moo was one of the best papers I attended, and the panel discussion afterwards was both informative and contentious. Readers, I hope you’ll look through the whole thing and engage in some dialogue here. This is an extremely interesting topic and I’d love to read your thoughts on it. I’ll start here by summarizing the highlights of Moo’s paper. Then I’ll look at the panel discussion. The thrust of Moo’s argument was twofold: first, to outline a “Biblical Theology” and apply that to the notion of stewardship; second, to hint at a strategy going forward for evangelicals interacting with creation care. There are three ways to look at the texts in regards to creation care: resistance (a pattern which allows one specific interpretation or approach to trump all others and therefore forces all texts into a certain paradigm); recovery (look at different texts and incorporate a broad view that supports an ecological interpretation); and revisionism (adopt a constructive and creative approach that makes meaning from the text while recognizing broad continuity with the text). Moo noted difficulties with all three of these and endorsed a kind of recovery/revisionist approach which “sees the ‘Green'” in the texts while also not forcing texts to be about environmentalism in every case. Furthermore, a sparseness of texts does not necessarily entail that no theology can be drawn from a topic. Instead, there are enough verses which can address creation care to paint in broad strokes. From this approach, Moo argued that there is a pattern of fulfillment in the New Testament which does not abrogate the Old Testament teachings on creation care but rather incorporates them into the whole world. We are called, Moo argued, to see our authority over the earth as not our own but as Christ’s as Creator. Moo then turned to the created world. We are able to learn truths about the world through scientific research. Moo argued that “truth discovered by scientists in the natural world” can inform our worldview because they are viewing the evidence left behind from Creation. It is not scientific theory vs. scientific fact or science vs. the Bible. Instead, Christians must see truth as both interpretations of the science as well as interpretations of the Bible. “We cannot dictate Scripture by science but… current scientific data should not be dismissed unless there is an extremely solid Biblical ground that contradicts this data.” Yes, science changes, but so do interpretations. Sometimes science can inform us of a faulty interpretation of the text. It can cause us to turn to the text to look for a better understanding of both special and natural revelation. Moo argued that there is a broad scientific consensus regarding climate change. It is happening and it is at least partially caused by humans. Not all scientists are saying the exact same thing in regards to climate change, but the broad consensus is that it is at least partially anthropogenic.–caused by humans. Thus, Moo argued, “Biblical theologians have no basis as laity in science to reject what science is telling us on this topic [global warming].” The Bible informs us of the disastrous effects humans can have on the earth, from the fall to Israel’s continued rebellions, which brought harm to the earth itself. Similarly, our own modern rebellions can lead to horrifying effects on the earth. Moo concluded with a call to Christian philosophers and theologians–and more generally, to Christians at large. “We should be at the forefront of confronting” climate change. We must be concerned with caring for creation. The panel discussion after Moo’s talk quickly became contentious. E. Calvin Beisner began by arguing that we must not lose the distinction between scientific models and reality. He noted that a scientific consensus does not necessarily mean reality, and that dissenting scientists were often those whose careers couldn’t be threatened by loss of livelihood. He generally expressed skepticism over the extent of humanity’s causing climate change. After Beisner’s general response, the moderator began a Q+A session in which all the panelists- Moo, Beisner, Russell Moore, and Richard Bauckham would be allowed to respond to each question. The first question asked about the political nature of the discussion. All the panelists generally agreed that the discussion goes beyond politics and into interdisciplinary studies of geology, climatology, philosophy, theology, and beyond. Next, “What can churches do to enhance creation care?” Moo argued that it needs to become an agenda item that churches regularly touch upon. He also said there are a number of easy ways to reduce one’s climate impact that can be incorporated in one’s daily routines. Bauckham expressed a desire for every church to have a ‘care of creation’ group which would inform their church on issues involved in creation care. Beisner also advocated easy things that can be incorporated into one’s life to take care of creation. Moore was concerned with a tangible connection to creation–he advocated getting people out into nature for walks and camping and a fuller understanding of God’s creation. The next question related to the facts that each would say are agreed upon by all panelists despite their some contradictory opinions. It seemed that across the board they agreed that some climate change is happening. Moo noted that it is easy to find someone to disagree with any fact, but that doesn’t undermine truth. Another question that came up was where the panelists thought creation care should rank in regards to a priority for Christians. The general view expressed across the board was that there is no easy way to say this should be a number one concern or where it fell in line with other major concerns like abortion, evangelism, and the like. Instead, all the scholars seemed to say that it is people’s duty to be informed on this topic and to do what they can. Interestingly, the question: “What are areas of agreement with the other panelists?” was the one that generated the most controversy. It started off well enough with the panelists noting actual areas of agreement. However, once the moderator (whose name I didn’t catch) noted the problem of the West’s excessive consumption, the discussion became heated. Beisner followed this comment with a rather lengthy argument that we need to move past the current scenario of reducing CO2 as a brute cure to the problem. He argued that this could be disastrous to the developing world. The developing world often is still using wood for fuel and to try to prevent them from using coal and other carbon-dioxide producing fuels would not only slow their development but also possibly cause deaths now due to inadequate heating, poor quality water, and the like. He made note of a few studies to this effect and argued that we can’t reduce climate change at the cost of humans who are here now struggling to get enough food and water to survive. He noted one study which showed that the more money spent on reducing climate change, the less the per capita income in the developing world becomes. Thus, he expressed concern for the people on earth now who might suffer from these measures. Moo then noted truth in what Beisner was saying–we need to be aware of the harm we can cause and see if certain methods of prevention have a cost too high–but dissented from Beisner in arguing that we must also take into account sustainability and future generations, even if that may not make for the ideal “now” for everyone. Bauckham really turned up the heat when he started his response by saying “Remember Galileo.” He noted that Galileo was initally condemned due to Scripture, but his example shows how trying to “predict from Scripture what science must observe is extremely dangerous.” He said that we need to stop playing “silly games with pseudoscience” [clearly aimed at Beisner’s use of arguments against the consensus Moo and the others argued was in place] and step outside of the Amero-centric view of the world. Regarding the developing world, he responded to Beisner by saying that whole nations are afraid of being consumed by the oceans, which is of course of utmost concern. He expressed worry that Christians in other countries saw Christians in the U.S. as disregarding the ecological crises of our time. Finally, he made a jab at Beisner saying that denying anthropogenic climate change is to the scientific community like denying the existence of Jesus would be to the panel. Beisner immediately responded, saying that Bauckham had been disingenuous and that he felt the language used was troubling. He argued that the supposed consensus is not a true consensus and that there is debate among experts related to the extent of anthropogenic climate change. There were a number of themes I took away from this discussion. First, I think Moo is spot on when he notes that Biblical theologians have no right to tell scientists what their data is. Moo’s presentation has reverberations for other issues, such as the age of the earth. Not only that, but his general notion of culture driving theology and vice versa was a very interesting concept of which people should take note. Finally, his call to Christians to be at the forefront of confronting climate change and being good stewards of Creation must be taken to heart. Despite the generally contentious nature of the panel discussion, it remains the case that all the panelists advocated a need to care for creation. The debate was over how that must take place. Clearly, the notion of anthropogenic global warming was a hot topic, but again all the panelists agreed that we need to be doing better than we are now. What do you think of all these discussions? What can we do? What should we do? Let’s hear it! 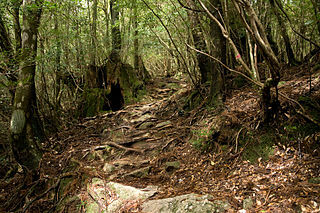 The third image is credited to: http://commons.wikimedia.org/wiki/File:Forest_in_Yakushima_30.jpg.